The Department of Information did not take kindly a statement made by Parliamentary Secretary for Active Ageing Anthony Agius Decelis that details of a massive direct order published in The Malta Government Gazette had been “a mistake by the management which publishes the gazette”. A spokesman for the Department of Information, which falls under the direct political responsibility of the Office of the Prime Minister on Wednesday denied that there had been a mistake on their part. Asked to explain how it was possible that such a ‘gross’ mistake was made on details of a €274 million direct order, the DOI spokesman said that “the Department of Information, which is responsible for the publication of The Government Gazette, issues official notices and adverts which are sent to it by the various ministries, parliamentary secretariats and government departments and entities”. Asked whether this means that it was a government ministry that committed the mistake, the spokesman said “the department publishes what it receives”. Asked also if this mistake had been corrected, the spokesman insisted that all corrections and or amendments were also duly gazetted. So far, the mistake admitted by the Parliamentary Secretary has not been corrected. It took the government more than a month to say that a notice published in The Government Gazette on July 20, announcing that James Caterers and a subsidiary of the db Group were awarded a £274 million direct order was a mistake. The consortium originally won a €60 million tender for the provision of meals and the demolition and construction of a new kitchen at St Vincent de Paul. 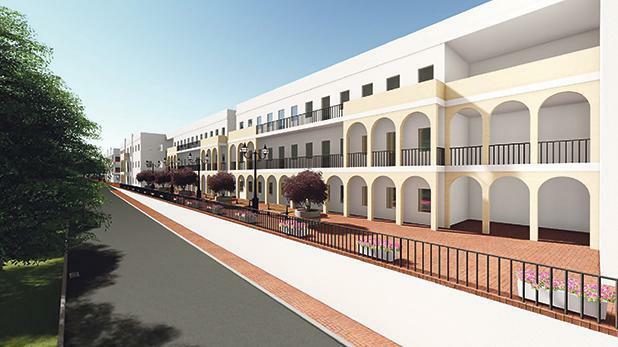 However, according to the government, following negotiations with the consortium which started after the award of the tender, it was agreed that the private companies would build a 500-bed extension to the old people’s home and in return get €274 million in government payments to ‘manage’ the new facility. While the government insists no public procurement rules were breached by the Department of Contracts through the deal, EU rules make it clear that a new tender should be issued in case the original value of a public tender increases by more than 50 per cent. In this case, James Caterers and the db Group will be receiving more than four times, or an increase of 400 per cent, of the original value of the tender they originally bid for. The government said it had no difficulty if the contract was in-vestigated by the National Audit Office and the Public Accounts Committee. However, so far, it has refused to publish the contract.